The JMW Clinical Negligence team has been awarded the top Tier 1 ranking by the 2019 edition of legal industry guide the Legal 500, one of only two firms in the North West to be ranked so highly. The Legal 500 comments that JMW fields an ‘excellent team of tenacious and down-to-earth solicitors who fight hard for their clients to ensure that they get the best possible compensation’. It states that our ‘highly specialised and dedicated team has real expertise in the most serious cases of birth injury, brain injury and spinal injury cases’. Head of our department and partner Eddie Jones is names as a leading individual and described as having ‘an excellent grasp of the key issues of law, practice and strategy’ and ‘immensely hardworking’. Partner Sally Leonards is also ranked as a leading individual and is said to be ‘very experienced’ and to adopt a ‘tenacious but realistic approach to each case’. Partners Melissa Gardner and Angharad Hughes are also highly praised. Melissa is said to strike ‘a great rapport with her clients’ and Angharad is said to be ‘enormously sympathetic to her clients and has excellent attention to detail’. 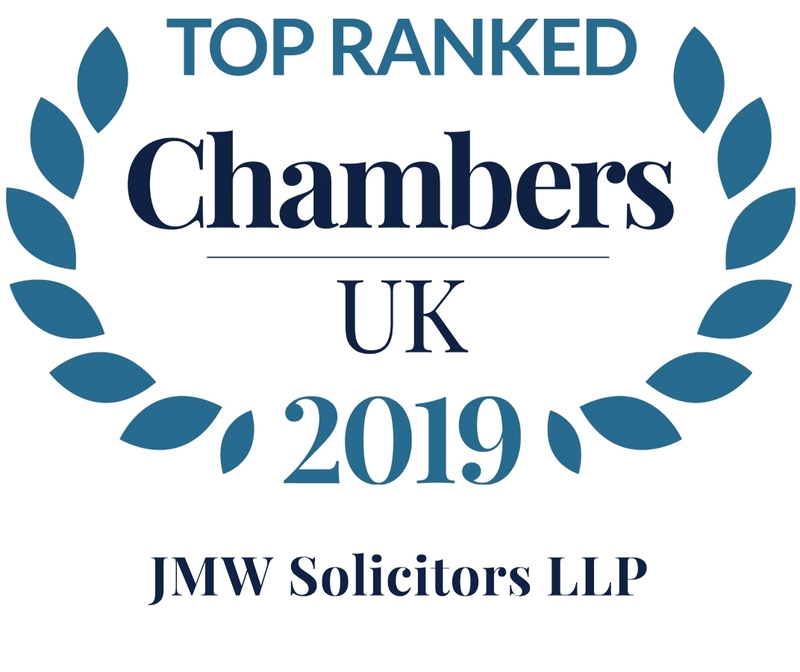 JMW’s specialist clinical negligence team has been awarded a Tier 1 ranking in the 2019 edition of legal industry guide Chambers and Partners. The ranking is based on glowing comments from clients and other legal professionals about our service. We receive praise for our client-driven work ethic and a source is quoted as saying: “They work tirelessly on behalf of the client; their dogged determination ensures that clients know that they are dealing with a top law firm that will always put them first and fight tooth and nail to get the best for their clients. Partner Sally Leonards is named as a Leading Individual and described as “extremely hard-working and very efficient”. Partner Melissa Gardner is also ranked and is described as having notable experience handling claims regarding severe brain injury. JMW has been recognised as one of the three best clinical negligence firms based in Manchester in the 2018 edition of legal industry guide Chambers and Partners. Our Band 1 ranking by Chambers and Partners is recognition of the outstanding results we achieve for our clients nationwide and our reputation for excellent client care. Chambers states that our strong team attracts serious brain and spinal injury cases from across the country ‘owing to its large team of highly regarded clinical negligence specialists’. Our expertise in cerebral palsy, spinal injury and stroke cases is highlighted. It quotes sources as stating we always work hard, exceed expectations and have the client’s best interests at the heart of what we do. Partners Sally Leonards and Melissa Gardner are also highly praised. Sally is said to be ‘extremely experienced and capable’ and a ‘fantastic support all the way’. Melissa is commended for her work in child brain injury and spinal injury cases and is said to have a ‘solid approach’. JMW’s clinical negligence team has achieved another high ranking in the latest edition of legal industry guide Chambers and Partners. Our ranking in the 2017 edition highlights our expertise in serious brain and spinal injury cases. It quotes a client as saying our ‘wonderful blend between expertise and client empathy has been simply first-class in every respect. The communication, degree of engagement, the time given to the case and their clear understanding of me as a layperson has been beyond courteous’. Our head of department Eddie Jones is recognised as a leading brain and spinal injury expert and is described as approachable, down-to-earth and very genuine. Partners Sally Leonards and Melissa Gardner are also highly praised. JMW Solicitors LLP’s lawyers ‘stand out for their attention to detail, hard work and dedication to their clients’. 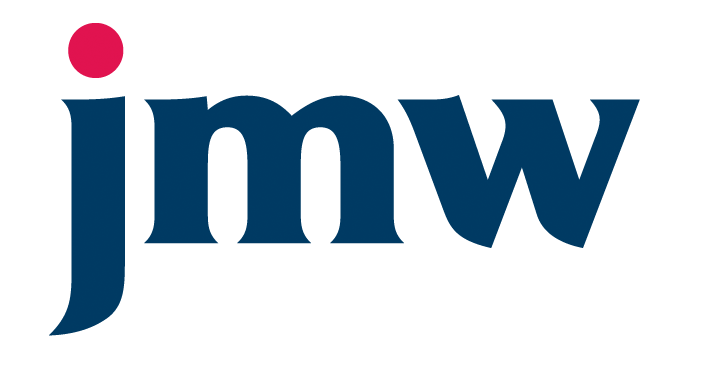 The 2017 edition of thre Legal 500 comments that JMW Solicitors LLP’s lawyers ‘stand out for their attention to detail, hard work and dedication to their clients’. Practice head Eddie Jones leads a ‘successful practice that still manages to offer a very personal service’. He is renowned for his expertise in child and adult catastrophic brain injury cases and spinal injury work. Sally Leonards, who is very skilled at dealing with cerebral palsy, spinal injury and high-value catastrophic injury claims, is ‘thorough, experienced and approachable but steely when it comes to dealing with defendants when needed’. Melissa Gardner has extensive experience of successfully settling high-value child brain injury and cauda equina syndrome claims and is a ‘first-rate lawyer’. Senior associate Steven Brown is a ‘highly competent solicitor who is going places’. The specialist practice deals with claims against the NHS, private sector healthcare organisations and individuals, with an emphasis on successfully settling high-value brain injury cases that have been vigorously defended by the NHS. Another niche area of expertise is the successful management of kernicterus brain injury and cauda equina syndrome spinal injury claims. The JMW Clinical Negligence team has achieved yet another high ranking in the 2016 edition of independent industry guide the Legal 500. All our partners received high praise in the glowing comments we received. The 2016 edition praised our team for its ‘attention to detail, hard work and dedication to clients’ interests’. It comments that Eddie Jones, head of our team, is ‘very thorough’. Partners Melissa Gardner and Angharad Hughes are also recommended, as is Sally Leonards, who is ‘just fantastic’. 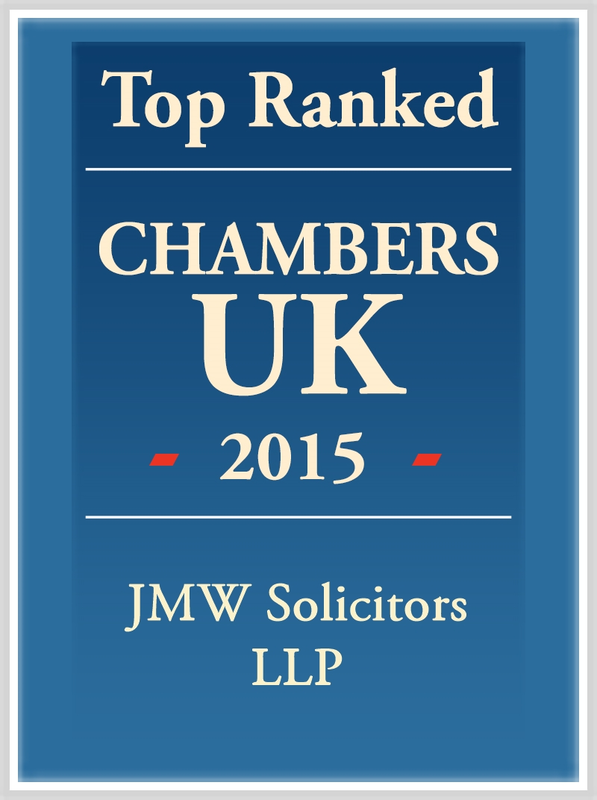 The 2015 edition of independent legal guide Chambers and Partners has given us a top ranking. Our head of department Eddie Jones and partner Sally Leonards were highly praised. Chambers and Partners UK 2015 Chambers UK 2015, a guide to the legal profession, praises us for being renowned for our ‘personable and client-focused service’. It states that we are ‘distinguished for our expertise in kernicterus and cauda equina cases’ and have ‘in-depth experience in birth and neonatal injuries relating to cerebral palsy’. Our head of department Eddie Jones is ranked as a Star Individual, one of only a handful in England and Wales for Clinical Negligence. Chambers states that ‘clients are impressed with his sympathetic manner when handling claims of a sensitive nature’. Partner Sally Leonards is also praised as ‘hugely experienced with strong people skills’. 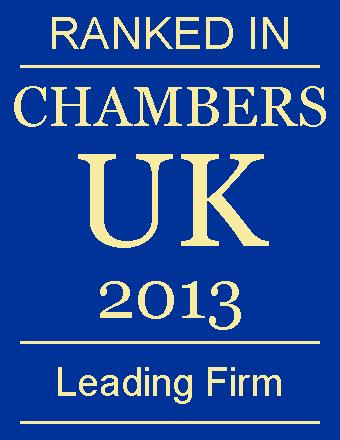 Chambers and Partners is an independent guide to the legal profession. The 2014 edition had this to say about the JMW Clinical Negligence team after ranking us above many of our competitors. Chambers UK 2014, a guide to the legal profession, praises us for being a 'well organised, niche firm that does clinical negligence extremely well'. It notes that clients feel we helped to 'lift the burden at an extremely difficult time'. Eddie Jones, JMW's head of medical negligence, is described as having 'very good judgement of cases, works phenomenally hard and is undoubtedly a star'. Clients and contacts who spoke to Chambers about our service agreed that Sally Leonards, another one of our partners, is 'ultra-efficient and drives the case forward, has broad practice with extensive experience in birth injury claims'. Eddie Jones has a fantastic reputation for acting on behalf of clients with severe brain injuries. Sources say: "He is absolutely meticulous, and his papers are always in perfect order." Sally Leonards continues to develop a strong reputation for complex brain and spinal injury claims. JMW's medical negligence team has been awarded a top tier ranking in independent legal guide the Legal 500. We are one of just four North West firms to have achieved Tier 1 status. The Legal 500 said that our team is ‘very knowledgeable’, ‘incredibly supportive’ and ‘consistently acts in the interests of the client’. Head of our team Eddie Jones is described as ‘very professional’ and partner Sally Leonards is also praised. The 2013 edition of leading legal industry directory Chambers and Partners has awarded the JMW Clinical Negligence team an excellent ranking. Our head of department Eddie Jones has also achieved the coveted 'Star Individual' status. “This firm's clinical negligence team was praised for its ‘personable attitude with clients’ and ‘great expertise’. Clients also praised the team's ability to keep a case progressing without delay, leaving ‘nothing to improve’. The team frequently handles multimillion-pound matters, with one case recently settling for £6.56 million. “Department head Eddie Jones is the subject of universal praise. Sources describe him as ‘absolutely brilliant’ and ‘very articulate’. Clients are also impressed by his ‘great cultural awareness’ and his understanding of what they wanted to achieve in their claim. "This is an extremely pleasing settlement. I see numerous settlements in the course of a week but this is one at the very top end and the parties are to be commended�this can only be described as an excellent result in every respect." The Clinical Negligence department at JMW has been deemed 'outstanding' by the 2012 edition of industry bible the Legal 500. "JMW Solicitors LLP provides an "outstanding level of service". It frequently acts in complex, multimillion-pound cases and has strong expertise in child brain injury matters, recently winning a £6.56m damages claim for a client. Team head Eddie Jones is "professional and empathetic". Eddie Jones at JMW Solicitors LLP is highly praised. The firm achieved several awards in the £5m bracket this year, and is moving ahead of its competition in this tier. Sally Leonards is 'outstanding', and Ged Wilson, a Court of Protection Deputy, provides 'excellent service and prompt action'.